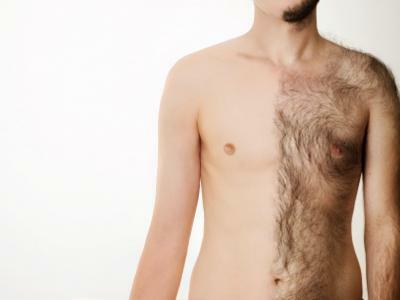 Trends and opinions about what looks good are often changing, one London based clinic say they're noticing a trend change when it comes to body hair too. London,, United Kingdom - - January 19, 2014 /MarketersMedia/ — City Hair Removal is a leading London clinic that has been providing various Laser treatments since 2002, the clinic say that they are seeing a growing trend to become hair free. The biggest hair removal trend that they are noticing is more and more women wanting to be hair free down below, the 2013 end of year figures for laser hair removal treatments carried out by the clinics highly trained staff reveal that more and more women are opting to go for a permanent 'Hollywood' or 'Brazilian'. City Hair Removal say that in 2013 the number of women booking themselves in for laser hair removal in the pubic region was up by 25%, overall procedures for the bikini line grew 20 times faster than laser treatment for any other part of the body. The clinic say that they feel the advancement in laser hair removal technology and their investment in it is definetly part of the reason that they are seeing a growing trend of women wanting to permanently keep things hair free, smooth and tidy down below. City Hair Removal uses lasers approved by the US Food and Drug Administration (FDA) in it's Fenchurch Street clinic and they can treat all hair colours and skin types, visit this page to learn more about the lasers used by clinic. City Hair Removal is located in Fenchurch Street, London. The clinic employs only experienced staff and treats more than fifty clients every single day. City Hair Removal is open from 9am to 9pm, six days a week from Monday to Saturday, they offer all clients a free initial consultation and patch test. The clinic is currently offering huge savings in their January sale for more information visit: www.cityhairremoval.com.